A systematic review and meta-analysis of nearly 10,000 participants reported that automated office blood pressure (AOBP) readings are more accurate than office BP readings under the right circumstances, in a routine clinical practice setting. The new report from investigators with the University of Montreal and University of Toronto also found that AOBP readings have similar accuracy to awake ambulatory BP (ABP) readings. These findings counter common physician reticence surrounding the adoption of the AOBP technique, as its reliability compared to traditional methods has been questioned in assessing patients with possible hypertension. The team, led by Michael Roerecke, PhD, of the Institute for Mental Health Policy Research, Center for Addiction and Mental Health, Dalla Lana School of Public Health, University of Toronto, conducted a review and analysis of 31 articles comprising 9279 participants tested for cardiovascular risks with AOBP or awake ambulatory BP. The reviewed material consisted of both routine clinical practice and research study data, while the ABP was reviewed from awake hour data—as it is a standard for predicting cardiovascular events. Investigators noted the association established between ABP and cardiovascular event risk is “continuous, consistent, and independent of other risk factors.” Meanwhile, routine office BP measurement has been found to be more susceptible to the “white coat effect”—when it is measured in the office at a higher level than ABP. It also associated with physicians rounding off readings to the nearest zero value, and overall worse accuracy. “Although the accurate measurement of BP is the cornerstone for appropriate diagnosis and treatment of hypertension, recent guidelines have questioned the accuracy, and consequently the role, of manual BP measurement in routine clinical practice,” the team wrote. Roerecke and colleagues sought to provide the first comprehensive literature evaluation of AOBP and conventional office BP measurement comparisons. The investigators focused primarily on systolic BP because it has reported as less than 80 mm Hg in most studies involving AOBP, it is more greatly affected by white coat response, and because it is a more critical determinant of cardiovascular event risk in a patient. Included literature in the review had reported mean differences (MD) between AOBP and at least 1 of 3 other BP measurements, a sample size of at least 30 participants, a one-month maximum time elapse between 2 types of BP measurement, a maximum interval of 2 or less minutes between AOBP measurements, at least 3 readings for AOBP, and to have been conducted after 2003—when AOBP was first introduced. To calculate the difference between each BP measurement type, investigators used the MD with 95% confidence interval (CI), or at least calculated such metrics when not provided in literature. Among the 9279 participants, 45343 (48.9%) were female. Routine office and research systolic BP readings were markedly higher than AOBP readings in instances where systolic AOBP was 130 mm Hg or more. The pooled MD was 14.5 mm Hg (95% CI: 11.8-17.2; P< .001) for the routine office systolic BP readings, and 7.0 mm Hg (95% CI: 4.9-9.1; P< .001) for research systolic BP readings. Among systolic awake ambulatory BP and AOBP readings, rates were similar. The pair reported a pooled mean difference of just 0.3 mm Hg (95% CI: -1.1-1.7; P< .001). Investigators noted this comparison was noted from 19 samples featured across 18 articles. “Systolic AOBP differed from awake ABP by more than 5 mm Hg in only 2 studies, 1 of which was a retrospective medical record review from an ABPM center,” they wrote. Roerecke and colleagues concluded that AOBP readings—only when recorded on multiple attemps with a full automated oscillometric sphygmomanometer and with a patient sitting alone in a quiet setting—are actually more than office BP readings conducted in routine clinical practice. Its readings are also similar to awake ambulatory BP readings. They advised that clinicians begin to embrace AOBP as the preferred method for recording BP in routine practice. “The existing evidence supports the use of AOBP to screen patients for possible hypertension in clinical practice, especially if one takes into account the white coat effect associated with current manual or oscillometric techniques for office BP measurement,” investgiators wrote. 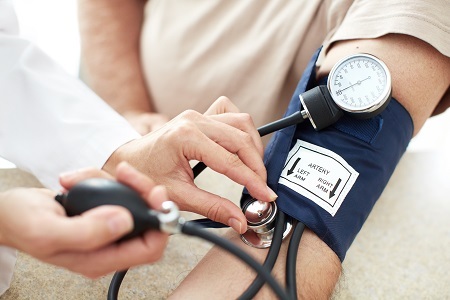 The study, "Comparing Automated Office Blood Pressure Readings With Other Methods of Blood Pressure Measurement for Identifying Patients With Possible Hypertension," was published online in JAMA Internal Medicine.